Natalie is a Welsh dance artist based in Cardiff. She trained at Central School of Ballet before going on to work with companies Ballet de l’Opera National du Rain and National Dance Company Wales. She has worked as an independent artist on projects with people including Laïla Diallo, Theo Clinkard, Ben Wright/bgroup, Joan Jonas/TATE and Jo Fong. 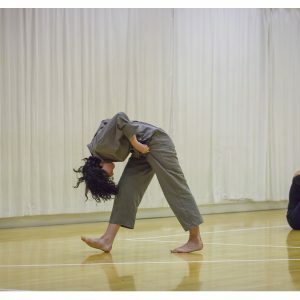 As well performing in works by others, Natalie has worked as a rehearsal assistant on Adrienne Hart’s creation for the Company of Elders and has taught at London School of Contemporary Dance and Central School of Ballet. She is currently a guest lecturer in the faculty of creative industries at University of South Wales.